The decision by the business cartel, GICAM, to create a capacity-building centre through which the organisation can conveniently work to sharpen the business skills of Small and Medium-sized Enterprises, SMEs, signals better days for actors of the sector, which has been described variously as the livewire of the country’s economy owing to the number and calibre of the people it employs. 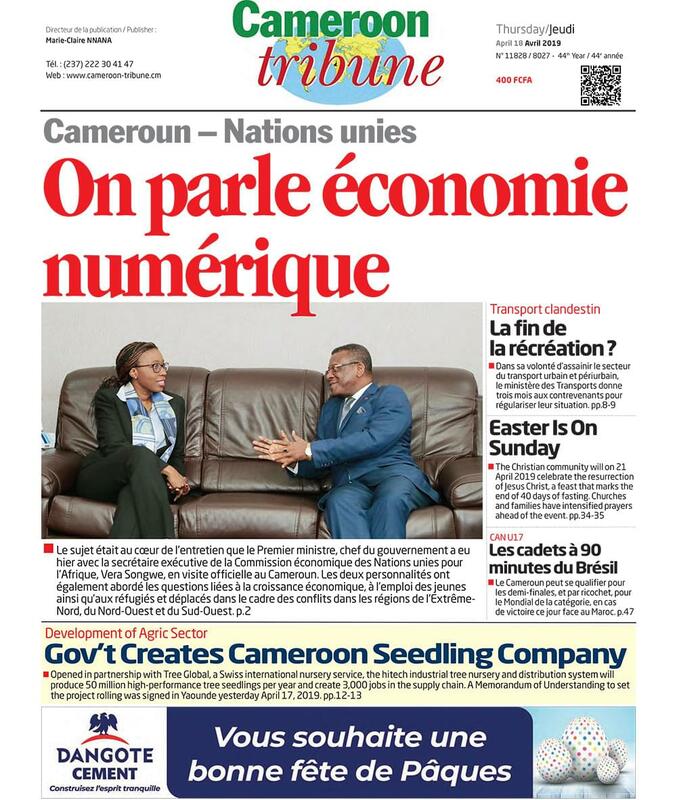 When one considers that SMEs reportedly make up 90 per cent of Cameroon’s economy but contributes approximately 36 per cent to her Gross Domestic Product, giving a push to efforts of the actors can only be timely. Coincidentally, the GICAM centre is coming at a time government is redoubling efforts to ensure the robustness of the sector to attain already clearly defined development objectives. Having a centre where growth-inhibiting challenges could be identified and handled and performance-enhancement tips spelt out is certainly a new dawn for the country’s SMEs. A good foundation indeed to put the actors and their actions on a path of growing business competition that is irresistible now, especially with globalisation. The centre equally augurs well for local entrepreneurs looking at the challenges of competitiveness heightened by Cameroon’s adherence to the Europe Union’s Economic Partnership Agreement. Opening up the local market for the free entry of certain goods from Europe as well as export to the European markets could bring mix fortunes for local businesses depending notably on the quality of what they offer vis-à-vis their competitors. Such quality cannot be ascertained when local enterprises are ignorant of the exigencies of the international market and what is needed to live up to expectation. The GICAM Capacity-Building Centre for SMEs is thus viewed as a window to the world for actors. Making good use of the centre should therefore be imperative. The fact that the centre offers training, helps in drawing up business plans, coaching SMEs actors on excellence-prone techniques as well as assistance on their governance are great openings that any results-driven entrepreneur cannot afford to miss. The GICAM gesture adds up to numerous efforts undertaken by government to surmount challenges inherent of the SMEs sector. The creation of the Bank for Small and Medium-sized Enterprises in July 2015 to solve financing hurdles of SMEs, the putting in place of an Upgrading Office for SMEs, the creation of an Agency for the Promotion of SMEs as well as facilitating partnership with leasing companies, lend credence to concerted public/private efforts to bail the sector out of under-performance. Spinoffs of all these efforts are highly awaited. Desired results can only be attained when the beneficiaries make good use of the numerous opportunities and assigned actors play objectively by the roles of the game. Cameroon needs a vibrant SMEs sector to emerge.